Real-time tracking, across any device you own! 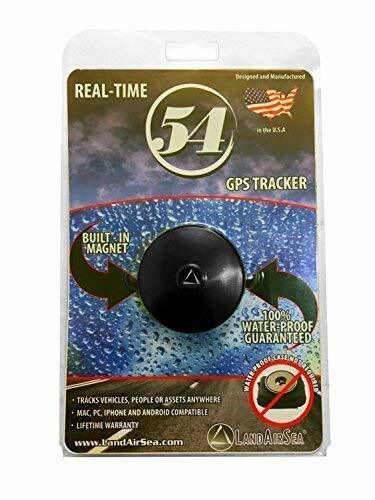 Developed and manufactured in the USA by LandAirSea, a leader in consumer and enterprise GPS tracking gear since 1994, the 54 allows you to track your loved ones and valuables when you aren't around. Whether it's your child coming home from school, a suspicious spouse, a teenage driver or valuable company assets, the 54 keeps you up to date in real time. Since the 54 provides location updates as often as every 3 seconds, you can easily track fast-moving people, assets and vehicles. Additionally, the included LandAirSea SilverCloud software allows you to set geographic boundaries around locations (Geofencing) and be notified when someone or something moves outside these areas. For example, you can create a geofence around your child's walk home from school so you can be notified of any unexpected stops. You can also geofence your neighborhood alerting you the moment a loved one leaves or is arriving home. You can geofence your elderly mother's home so you can be notified when she wanders too far away. To enhance battery life and tracking accuracy, the 54 features a built-in accelerometer which detects motion and powers the device on/off depending on whether the tracker is moving. Whatever your tracking need, the innovative LandAirSea 54 GPS tracker has the features you need to keep your loved ones safe and yourself informed, all at an unbeatable price.